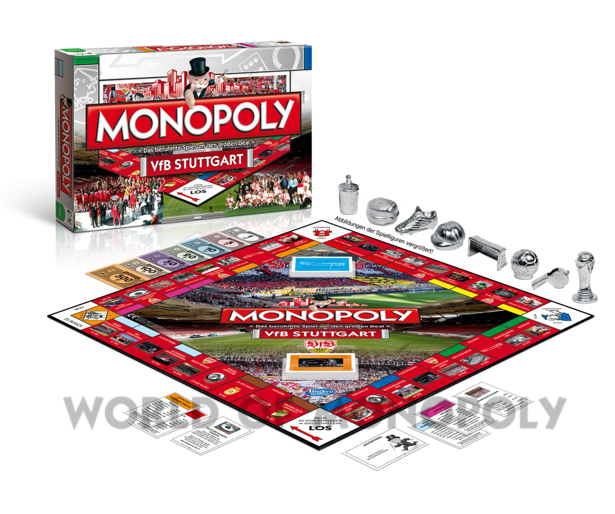 Experience the most important moments in the history of the VfB and go to the end of the game as the winner! The successful history of VfB Stuttgart begins with the founding of the club on 9 September 1893 in the guesthouse "Zum Becher" with only 20 founding members. In the meantime the club has been able to look back on five German championships (1950, 1952, 1984, 1992 and 2007) and won three times the DFB Cup (1954, 1958, 1997). 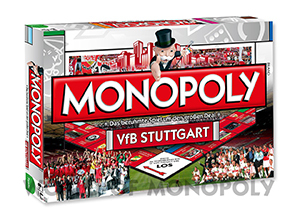 In the eternal Bundesliga table, the VfB is in fifth place. 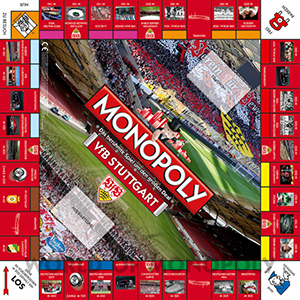 But in the course of its long history, the club has become far more than a mere sports club: not only for the more than 45,000 members, but for the entire region and far beyond, the VfB is an integral part of everyday life, is identification and a passion for heart The motto "fearless and faithful". 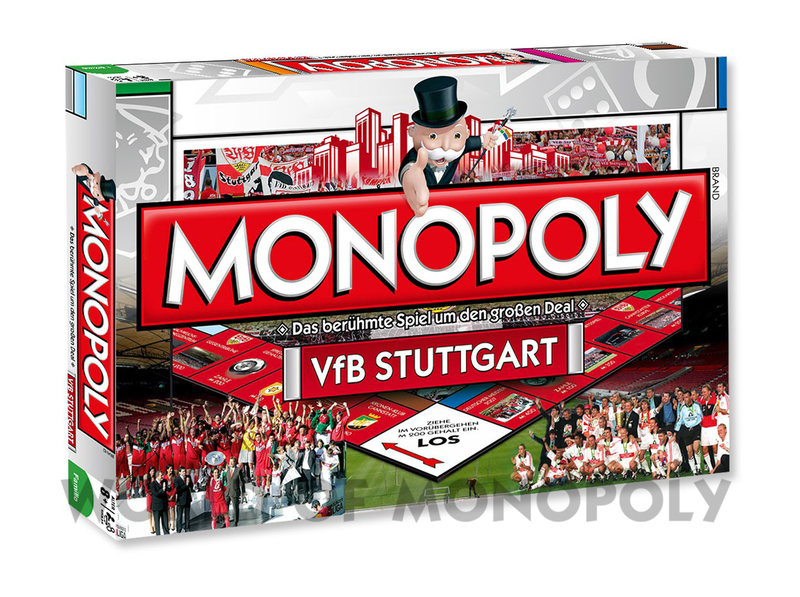 But just go on a journey through the history of VfB Stuttgart - with this exclusive MONOPOLY edition.